In commemorating Indonesia’s 73rd year of independence, and forging on with the #OrangutanFreedom campaign, the BOS Foundation has released another 10 orangutans from the Nyaru Menteng Orangutan Rehabilitation Center to the Bukit Baka Bukit Raya National Park (TNBBBR). This latest release was made possible through continued cooperation with the Central Kalimantan BKSDA, the TNBBBR Authority, and USAID LESTARI. 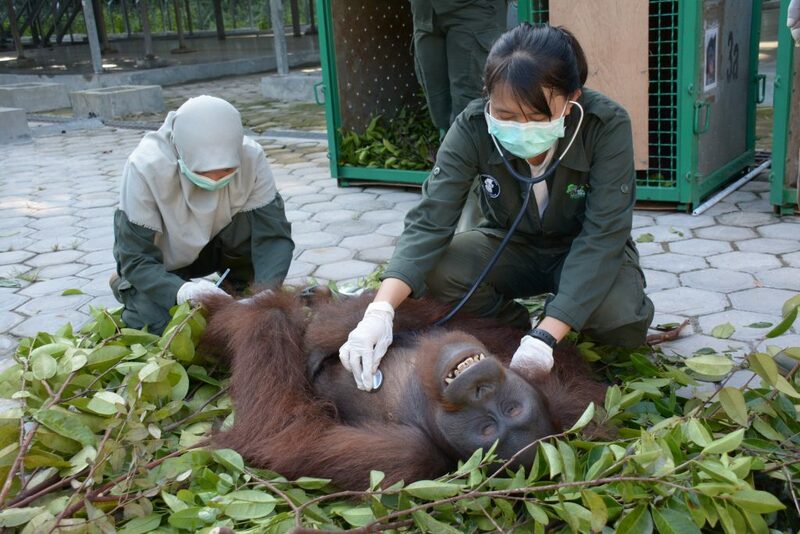 It also takes the total number of rehabilitated orangutans released by BOSF since 2012 to 368, across three sites. Late in the afternoon of August 14, 10 orangutans from Nyaru Menteng – three males and seven females – were prepared for their final journey to freedom. The medical team sedated and performed a final exam on each of the release candidates prior to gently moving them into individual transport cages. The cages were then carefully lifted onto 4×4 utility vehicles, in preparation for departure. 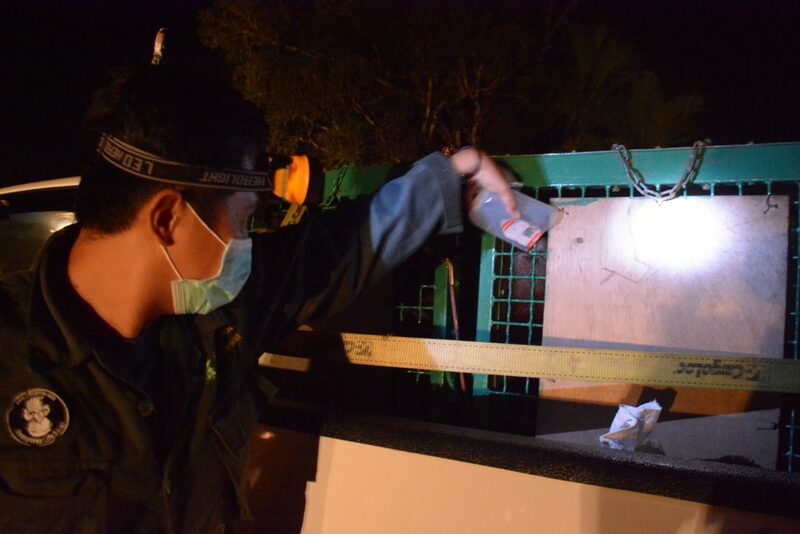 The release team and orangutans departed from Nyaru Menteng at around 7 p.m. and headed to Tumbang Tundu Village in Marikit Sub-District, Katingan Regency; the last point reachable by car. As always, our team travelled in the cool of the night to minimize stress on the orangutans during the long, 20-hour trip. 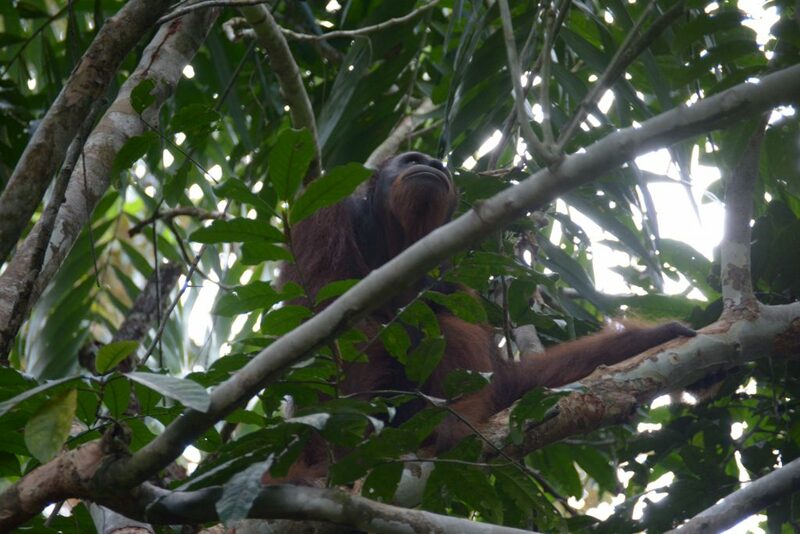 As stipulated by our Reintroduction SOP, the team stopped every two hours to check on the orangutans, and to feed and hydrate them as required. The team arrived at Tumbang Tundu the next day. 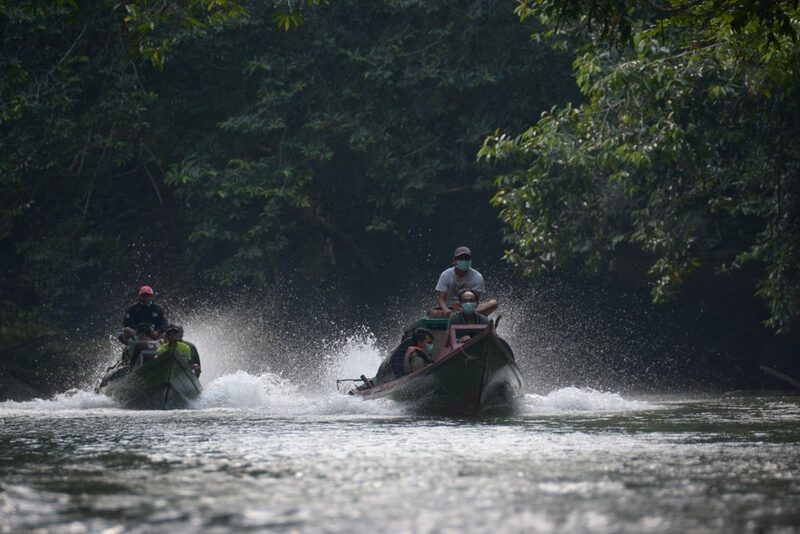 After a brief stop for breakfast, the trip was resumed on ‘klotok’ boats upstream the Bemban River and deeper into the forest. The boat convoy finally reached the release points by around noon on August 15. The team quickly moved ashore and lifted the transport cages off the boats, then carried them to the predetermined release points. 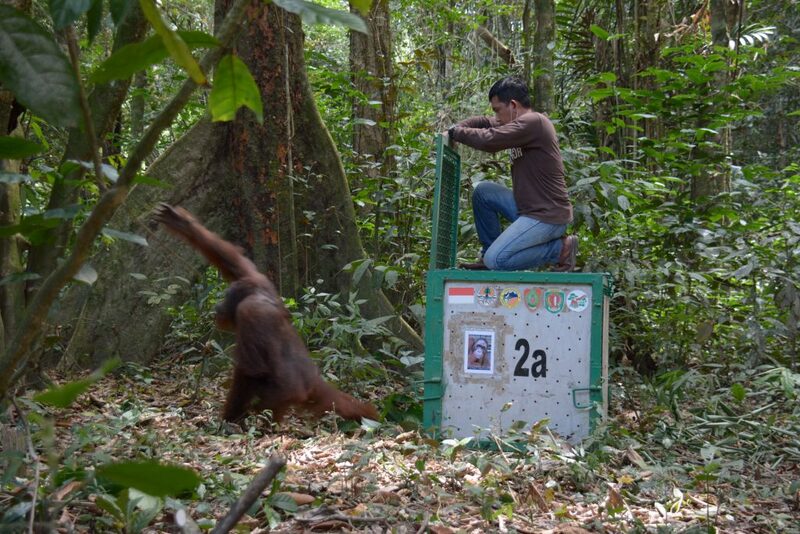 Nody came to Nyaru Menteng in 2007 when he was two years old, and progressed through all levels of Forest School before graduating to the pre-release stage of rehabilitation. 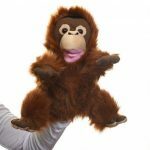 During his Forest School days, he was featured in the ‘Orangutan Diary’ TV series. With his well-developed skills and consistent, natural behaviours, 13-year-old Nody was chosen as our 100th orangutan to be released in the TNBBBR. After Nody exited his transport cage, our Post-Release Monitoring (PRM) team quickly began to conduct observations on his movements and activities. The PRM team will continue to monitor Nody daily for the next month to ensure he is adapting well to his new environment. This orangutan release is the 24th conducted by the BOS Foundation in the TNBBBR since 2012, and takes the total number of orangutans released to the national park to 102. 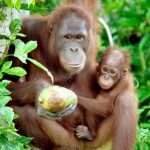 This year, the BOS Foundation remains focused on freeing as many orangutans as possible from our two rehabilitation centers: Nyaru Menteng and Samboja Lestari. We believe that every orangutan has the right to live safely in a natural habitat, free of human interference – and we will continue working hard to ensure this with the help of all stakeholders. 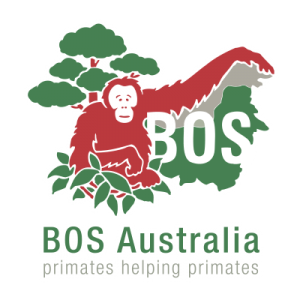 The BOS Foundation greatly appreciates the support offered by the Central Kalimantan BKSDA, the Government of Central Kalimantan, and all stakeholders committed to the cause. We are equally thankful for all the moral and financial support provided by individuals and donors from around the globe. 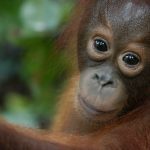 Together, let’s protect orangutans and their habitats!